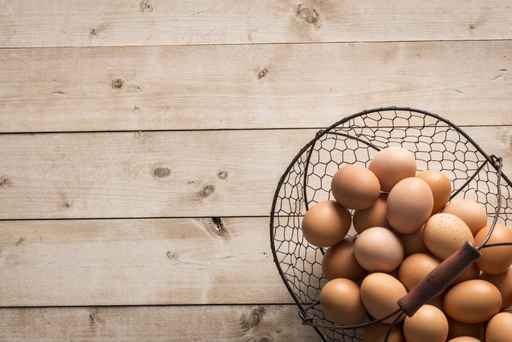 Are your eggs in the right basket? It has been a while – i know. But I do have an excuse … honestly! As I said in one of my posts last year (see here), I’ve spent most of the past year consciously trying to live more slowly and deliberately. This isn’t anything new, or radical, just trying to be more aware of being in the present at any given time – and stop this dreadful and ongoing rushing from one thing to the next (that seems to have become an everyday practice of the world today). The thing is, while I’ve been feeling like I’ve been getting better at being more consciously aware, in myself I still haven’t been feeling that great. I don’t mean unwell – just a little well … out of balance. Fast forward to Easter week last month and as I was running around the lounge room – collecting the myriad of shoes, toys and clothes that my little miss had managed to deposit on just about every available surface just that morning – I caught the end of a breakfast TV segment on mums with a child and parenting psychologist. He started talking about mums feeling like they were burnt out, and how it can be prevented. The man now had my full attention and I sat down to watch. The average mum, he surmised, has to split her time and attention between work, family and self. He continued that if you imagine each of these three core responsibilities as a basket and you have 30 Easter Eggs (it was Easter week after week so the analogy made sense) and you asked women how they would split their eggs between the three baskets that most would split them evenly and put 10 in each. He said this is where we are going wrong – we actually need to put more into ‘self’ and that simple act of taking more care of ourselves by itself will make the eggs in ‘family’ and ‘work’ actually work better. Such a simple concept – but it really struck a chord. I don’t think I had thought of it that clearly before – but it’s no different to the airline guidelines around fitting oxygen masks. Fit your own first because you’re no use to anyone if you haven’t looked after yourself first! I started to think about all of the things around ‘self’ that I’ve been neglecting (and I don’t mean things like pedicures) – and there were a number. I got out my phone and started to make appointments. Followed up on my sleep study (turns out I had a mild sleep apnea) and got a mouth guard for sleeping. It’s amazing how good uninterrupted sleep feels! Went back to the chiropractor for the first time in nearly 10 years – apparently this old lady was truly living in her own little crooked house, well spine – and am currently going twice weekly to get things straightened up! Finally got to a specialist appointment I’ve been putting off. Started seeing a nutritionist who showed me how the balance of what I’ve been eating is all wrong and no wonder I don’t feel great because I don’t have enough protein. I’m not doing tumble turns down the street yet – there is still a way to go – but am definitely feeling more balanced than I was. I won’t forget again how important it is to look after ‘self’.